NEW YORK & CAMBRIDGE, Mass.--(BUSINESS WIRE)--Bristol-Myers Squibb Company and the Harvard Fibrosis Network of the Harvard Stem Cell Institute today announce a research collaboration to discover and develop potential new therapies for fibrotic diseases, including fibrosis of the liver and heart. The Harvard Fibrosis Network brings together researchers across the schools and affiliated hospitals of Harvard University. Fibrotic diseases impact many organs or tissues in the body, and are characterized by injury and chronic inflammation that lead to excess collagen deposition and scar formation in the affected organ or tissue. The scarring response compromises function and ultimately leads to organ failure. Treatments for fibrotic diseases are currently limited, and there is a significant unmet need for new options. “The Harvard Fibrosis Network was founded on the principle that fibrotic processes across different organs could share commonalities. To accelerate our understanding in this area, we draw on a large accomplished group of investigators at the Harvard Stem Cell Institute who focus on many different organs and biological processes. Our collaboration with Bristol-Myers Squibb will advance our efforts to discover and develop fibrosis therapies, because it allows us to combine the best of academic, clinical, and pharmaceutical research practice,” said Joseph V. Bonventre, M.D., Ph.D. Bonventre is the lead researcher of the Harvard Fibrosis Network, Executive Committee member of the Harvard Stem Cell Institute, Samuel A. Levine Professor of Medicine at Harvard Medical School, and Chief of the Divisions of Renal Medicine and Engineering in Medicine at Brigham and Women’s Hospital. Under the terms of the agreement, leading academic investigators of hepatic and cardiac fibrosis from the Harvard Fibrosis Network will collaborate closely with leading scientists from Bristol-Myers Squibb on four projects over three years. Specific research projects will focus on applied fibrosis biology, identification of noninvasive biomarkers, and novel targets for potential anti-fibrotic therapies, in the areas of hepatic and cardiac fibrosis. The Harvard Stem Cell Institute (HSCI), formed in 2004, brings together more than 1,000 scientists in the schools and affiliated hospitals of Harvard University. Its mission is to advance the understanding of human development and disease, support the discovery of stem cell-based therapies and cures for diseases, and train the next generation of stem cell scientists. The Harvard Fibrosis Network is a perfect example of how HSCI stimulates collaboration across disciplines, sectors, and institutional boundaries to accelerate discoveries that benefit humankind. 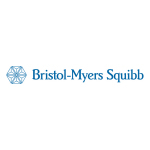 Bristol-Myers Squibb is committed to the discovery and development of medicines for the treatment of fibrosis, the buildup of scar tissue that impacts organ function. We are advancing a robust pipeline of investigational compounds to address areas of high unmet need in fibrosis, including nonalcoholic steatohepatitis (NASH), a condition with no approved treatment options that may lead to liver fibrosis and/or cirrhosis; and idiopathic pulmonary fibrosis (IPF), a progressive lung disease with a high mortality rate. We are researching multiple mechanisms and approaches to make the biggest impact on patients. This press release contains “forward-looking statements” as that term is defined in the Private Securities Litigation Reform Act of 1995 regarding the research, development and commercialization of pharmaceutical products. Such forward-looking statements are based on current expectations and involve inherent risks and uncertainties, including factors that could delay, divert or change any of them, and could cause actual outcomes and results to differ materially from current expectations. No forward-looking statement can be guaranteed. Among other risks, there can be no guarantee that any new therapies will be successfully developed or approved for any of the indications described in this release. Forward-looking statements in this press release should be evaluated together with the many uncertainties that affect Bristol-Myers Squibb's business, particularly those identified in the cautionary factors discussion in Bristol-Myers Squibb's Annual Report on Form 10-K for the year ended December 31, 2017 in our Quarterly Reports on Form 10-Q and our Current Reports on Form 8-K. Bristol-Myers Squibb undertakes no obligation to publicly update any forward-looking statement, whether as a result of new information, future events or otherwise.